GeneAfrique BusinessBox is a section focused spotlighting on African entrepreneurs who are making an impact in their chosen field. 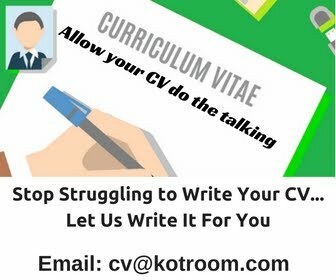 The purpose of this section is to promote and encourage entrepreneurship among young Africans. We are pleased to share Tracy's story with you all and hope you are inspired just as we are. Tracy Kobukindo is a 24 years old Visual Artist, Fashion Model and practicing nurse from Uganda, she started doing art at age 11, participating in small communal competitions with neighborhood children and coloring (with colored pencils) for the New Vision (Ugandan News paper) children competition. In 2007, she started painting, using water colors and applied for membership at Nommo Gallery one of the oldest and the National Gallery in Uganda (Elly Tumwine’s), where she has maintained membership for the last 5 years. Her first exhibition featured 10 art pieces, A4 water colour on paper; with the theme “women in Uganda” she exhibited a series of paintings which depicted Ugandan women at work and in the community. They went for 100,000 UGX= (approximately 40USD) each and sold out in 2007. In 2008, she was contacted & commissioned by Rhidar Hotel to paint 25 pieces for the rooms & suites. She traveled to Europe in 2009, visiting galleries in Germany, Switzerland, France and Italy: And was invited to show case a few of her art pieces in a fair trade shop in Heitersheim, South Germany. These she worked on upon her return to Uganda in August 2009. She decided upon making handmade greeting cards which she sent to Germany for sale and each went for 2 Euro. In 2010 she embarked on her canvas journey, painting on canvas with acrylics, this time exhibiting at Mish Mash and the Nommo Gallery. Paintings went for 1 million UGX, 400,000 UGX= and 2 others 300,000 UGX. 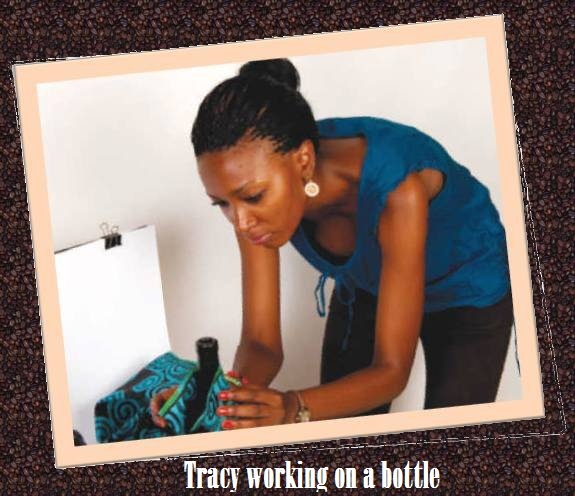 In 2012, she started on the wine bottle project. A recycling program in which she uses empty wine bottles to create beautiful pieces of interior décor/art, if you may. These can be used as artpieces or and even flower vases. This project recently got Nation wide recognition in a full spread interview in The New Vision of 21 April 2013. 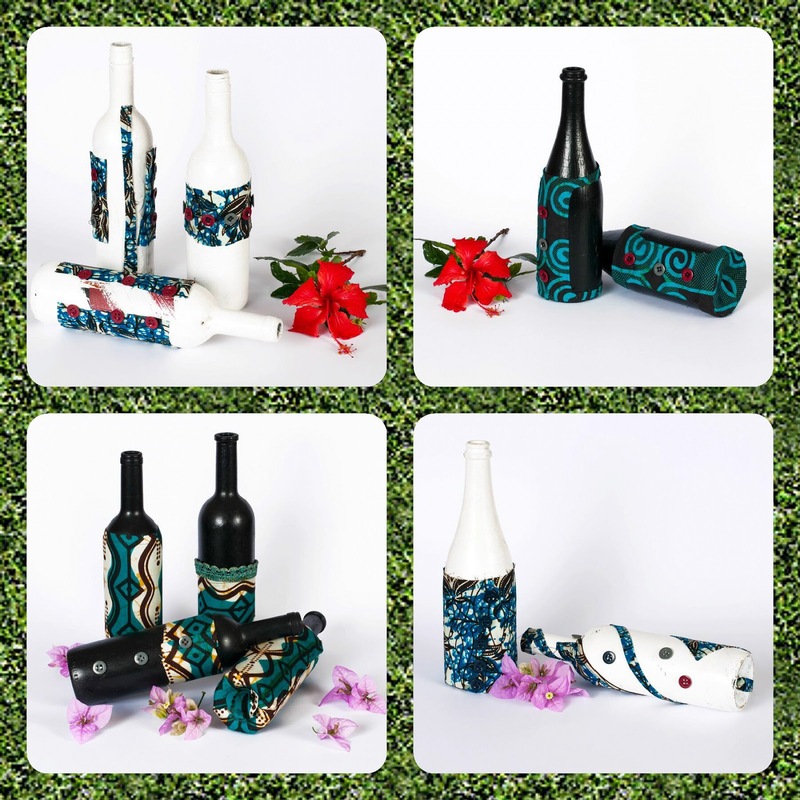 She is working with a team of 3, and so far has completed over 50 bottles, and exhibiting in some of the major restaurants in the city. Each bottle goes for 50,000 UGX= (USD18). She is creative, and not afraid to turn over a new leaf. She is changing the direction of art, and in so doing, changing the perspective of Ugandans. GeneAfrique: Which course did you study and name of institution attended? TKobukindo: I have a Bachelors’ Degree in Nursing Science from International Health Sciences University, Kampala, Uganda. GeneAfrique: Did your family have any influence on your decision to become a nurse? TKobukindo: Yes, but not in the way that you think. I was never forced into medicine, It was my choice and my family (especially my mother) supported me and encouraged me to pursue this dream. I think the fact that she recognized that I could do many things at the same time also helped because she never ever asked me to drop any of the things I was doing to concentrate on one thing and I think this is what influenced me and my character the most-am a multi tasker, because of my mother and the faith she has in me. 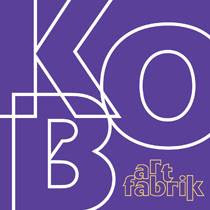 GeneAfrique: What is KOB Fabrik all about? What does KOB mean? 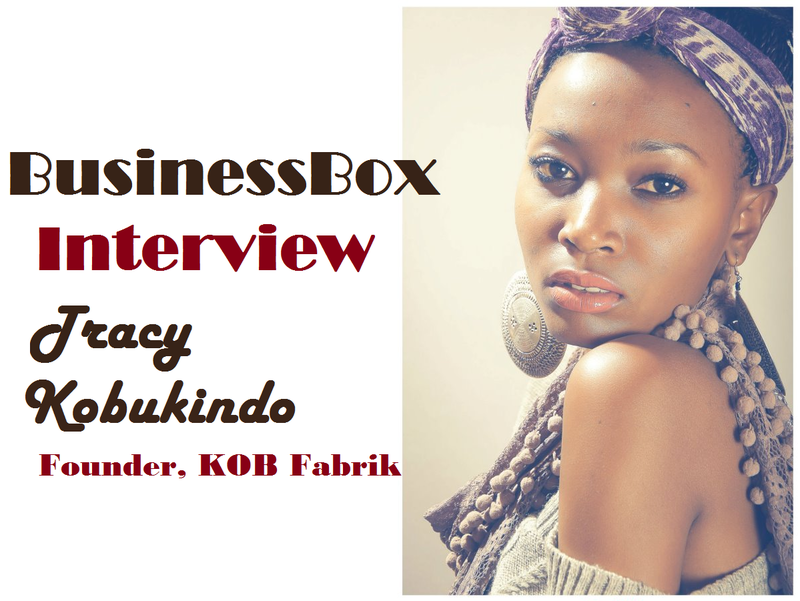 TKobukindo: KOB fabrik is an art studio developing innovative fabric concepts. We are always developing new creative concepts, always pushing our imaginative power to the extreme and producing art from the most unimaginable objects. 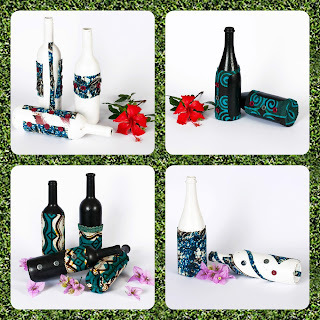 We have many works in progress, but what we can share with you now is the wine bottle project. Expect the unexpected, like they always say! At the moment, am working closely/together with Florence Nakaggwa, a great artist who also, surprise surprise, did not study art. Which is great because she doesn't think like your ordinary artist so it’s all very surprising-the result. The other two Trevor Rubarema and Terence Mateeka, who are also apart of my team, study so they are on part time. That’s my superb small team, and we do get things done! KOB, is short for my long name: KOBUKINDO. Besides I like the graceful nature of KOB the animal, and once was thinking of using its horns, as a logo for KOB fabrik but changed it when I realized that this would be the obvious choice for everybody else and I don’t like being obvious. 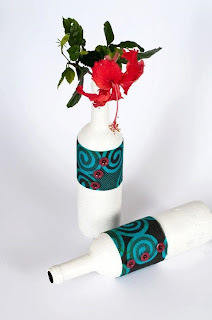 GeneAfrique: How did you develop your idea of making art out of discarded bottles? TKobukindo: The idea stems from the fact that, Uganda, although having the massive ability to consume wine has not yet developed the capacity to make as much wine as we consume, so we have an influx of wine bottles/waste. We also had so many bottles at home and no way to discard them, ergo the idea to use them instead of finding a place to dump them, Now very many hotels and garbage collecting companies are very happy to let me help them get rid of the bottle waste. This arrangement works well. It’s a win-win, I must add. GeneAfrique: What has been your most meaningful moment while creating your art? TKobukindo: Most meaningful moment: I don’t know if I have one. Every moment that I am creating art, every moment that I am thinking or developing an idea, is meaningful to me. Every single second has always been most meaningful. From idea conceptualization to implementation stage. GeneAfrique: What excites you the most about KOB Fabrik? TKobukindo: Uh! The most exciting thing is how much it’s growing, and how fast! KOB Fabrik was founded in March 2011, then I had the dream to own a shop and sell fabric, without incorporating any art into it. 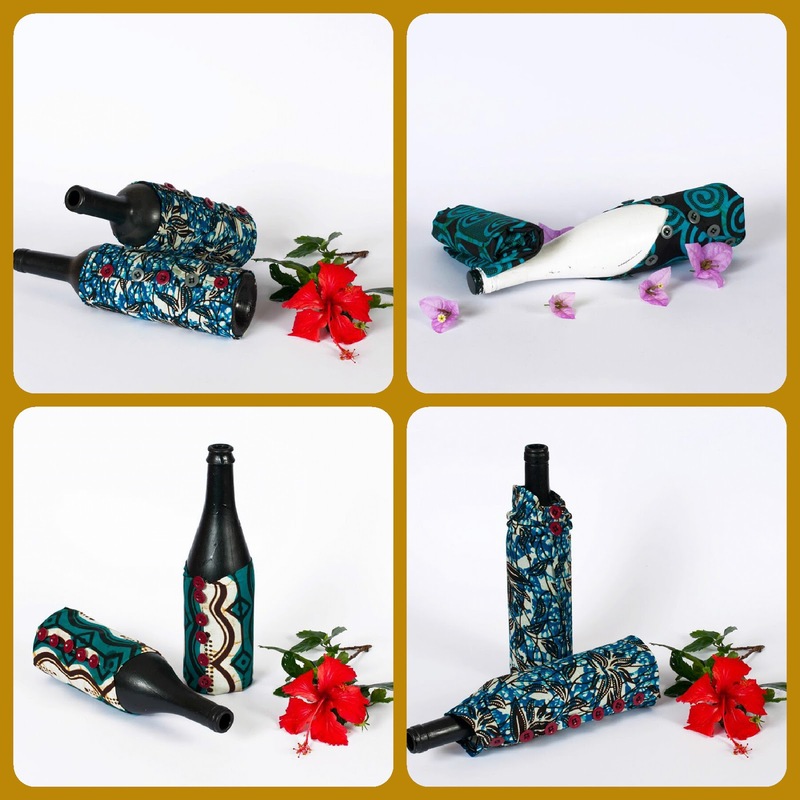 Come 2013, we have fabric, art and interior decor! Now, we are consulting for Interior Deco companies and considering developing an interior deco department. I tell you it’s crazy! GeneAfrique: How did you nurture your artistic ability? When you were young did you intend to become a professional artist someday? GeneAfrique: Success comes in different form and it is defined differently for everyone, what do you consider the most successful part of what you do in KOB Fabrik? TKobukindo: It’s definitely the art, the originality and the creativity. There is art for sale, and then there is Art for appreciation. There is that art, which when you look at, your first reaction is ‘WOW!’ then later comes the ‘how much is that?’ and then there’s Art where your first reaction is “How much is that?” then later “WOW”. We are reminiscent of the former. The most successful part for us, me and my team at KOB Fabrik. is the WOWs we are able to get from art lovers, fellow artists and friends and people we have never met from all around the world (now I can say that, ‘All around the world’). Also how far we have come, I started out in 2011, I had a dream I guess in the back of my mind, I knew where I wanted to be I knew I would get there, but nothing prepared me for being offered such a large platform to speak through my art to people who actually want to listen. 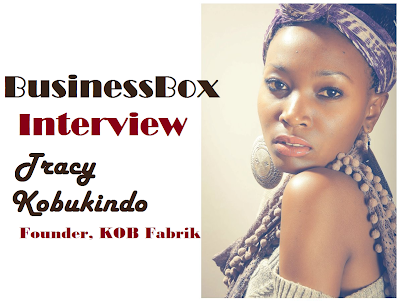 GeneAfrique: What are some of the lessons and insights you have gained from running KOB Fabrik? TKobukindo: Art is risky. Business is risky. An investment is made, but no one (not even self) can guarantee you of the profits, when they will come or if they will come. Believing in one self goes a long way, but its only to kick start the beginning. One always needs help from people with its in ideologies, advice or physical help. I have learnt that you can never do it alone. And this, what I have achieved so far, with KOB Fabrik, I haven’t done alone. GeneAfrique: Is there anything or anyone you constantly draw your inspiration from? TKobukindo: As an artist I draw inspiration from many things and a massive number of artists, here in Uganda and also abroad, I enjoy looking at other artists work, spend alot of time in galleries, trying to figure out how they came up with certain ideas, fascinating really. But special to me has always been Da Vinci, not because of the Monalisa or the last supper (I don’t know why people fuss over the Monalisa) but because he was the best multitasker that I know of that ever walked this earth, he was a painter, sculptor, architect, musician, mathematician, engineer, inventor, anatomist, geologist, cartographer, botanist, and writer. He reminds me of my self, not that I am genius, no but because I too am many things at the same time. So if there were any one at all that I draw inspiration from, it would be him. GeneAfrique: Many artists struggle to find ways to sell their art. How do you sell your work? TKobukindo: I exhibit in galleries, in restaurants and Cafes around town. And also online. GeneAfrique: What is the arts industry like in Uganda, do you have many art enthusiasts in the country? TKobukindo: The art industry in Uganda is booming, in terms of appreciation of course. More and more people are getting interested in art, they actually take time out to visit galleries and look at the art, appreciate it. It has definitely come a long way, when I was 10 yrs old I can’t say there was a singe art gallery I knew of, if at all there could have been 1, in Kampala. But now there are over 10 prominent art galleries in Uganda, 2-3 of which offer art residences. The enthusiasts are here alright, and they quadruple the buyers. GeneAfrique: What do you see are the barriers to getting a successful foothold into the arts industry? TKobukindo: The barriers: Change is difficult to understand. Different style, different art, different ideologies are always difficult to sell. People want to buy what they are used to, what they are familiar with, its difficult for a mind that thinks outside the box to sell an idea to a mind that is enclosed in a box. Its impossible. Especially when we come to traditionalists in art, of whom are still many-including sadly, some curators. GeneAfrique: You are also a fashion model; what is the story to this, were you scouted by any agency? He laughed, took test shots and said he would call. 6 months later, no phone call. 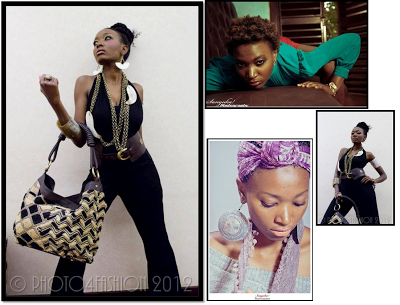 I went back and demanded my photos be taken again.6 months after that, I was called to audition for a photo shoot spread in the then biggest fashion magazine in Kampala, I got 3 pages, and did so well I was called back for another shoot (8 pages) and another 8 pages for another issue. It was after the first photo shoot that I was called for training for a fashion show (International standards) that would be my first fashion show and a foundation for my modelling career. And I just kept going, never stopped. I have gone on to work with several Magazines, Flair, Bride and groom, several International Fashion designers and Photographers, as well as models. Am proud of that part of me, it wasn’t easy in the beginning of course, but it was worth it! GeneAfrique: You are involved with the ‘Angel Care Project in Kyaka II refugee camp’, what is it about what they do that is important to you? And how did you get involved with the organization? TKobukindo: The Angels Care Project in Kyaka II, supports orphans and non-orphans alike, adult refugees and displaced persons by funding and initiating small projects from which the community can benefit and also, from which they can be involved and acquire not only food and financial support but from which they can build themselves and acquire financial self sustainability as a project and a community. GeneAfrique: What they do that is important to me is to an alternative source of income to the refugees and to support the projects’ plan to achieve self sustainability? 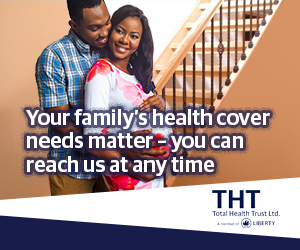 TKobukindo: I got to know about Angels Care through my cousin Doreen Tigah, she handed me a proposal and when I read through it, it was feasible and the plan of self sustainability caught my attention. I forwarded it to friends of mine and we visited the project. We later discussed a course of action, drew plans and 6 months later, Siegfried Kunz (A good friend of mine) was on board, and so was I. We have been running it since, and are happy with the progress so far: There is a cattle farm in place, goat farm, and a lot of farming going on. GeneAfrique: You are a nurse, fashion model, artist, and project coordinator; how do you find a balance between these varying roles? TKobukindo: I work, when it is time to work and play when it is time to play. Take one day at a time and set goals and deadlines for my work. I am a pressure person, the more the pressure, the more the productivity and the better the outcome. I actually had to carry out an experiment to prove that. GeneAfrique: Which role/career have you learnt from the most-the most challenging? TKobukindo: Nursing is more of a challenge to me. There is a code of ethics for nursing, and I am a free spirit! There is a lot to learn from nursing, patience, kindness, politeness (even when tired), one has to be knowledgeable and trustworthy, discreet and decent. It is a world apart from the fashion world, it takes sometime but it is not impossible to find a balance between the two. GeneAfrique: What is the big picture for you? TKobukindo: One day, I will have Angels Care directly involved with the KOB Fabrik production team. And also one day I shall start Art Therapy in this country. It will come to pass.